Have you noticed the bear cub in our logo? This is “Si Kecil”, The Little One, photographed when she was eight months old. Her story is sad but typical; her mother was killed by poachers and she was kept as a pet. She was one of the very first sun bears ever to be reintroduced into the wild. Her home was Kalimantan, Indonesian Borneo. She is no longer with us but her inspiration remains; a reminder there can be hope after sorrow. There is still much to achieve but BSBCC has come far since its humble beginnings in 2008. It would not have been able to happen without thanks to the dedication of our partners and supporters, staff and literally thousands of volunteers. You can also discover highlights of our work in our Annual Reports. 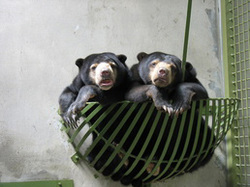 Funding for Phase 1 was secured in 2009 from the “Bear Necessities Fundraiser” organized by LEAP, along with matching funds from the Sabah State Government. Construction of Bear House 1 & Forest Enclosure 1 was completed in March 2010. This has allowed 12 existing bears to move into their new living spaces, integrated into 'bear groups' and given access to outdoor enclosures during the day. For the very first time, these bears can step onto soil ground, dig for grubs, climb, forage and rest in the trees within the natural forest enclosures. 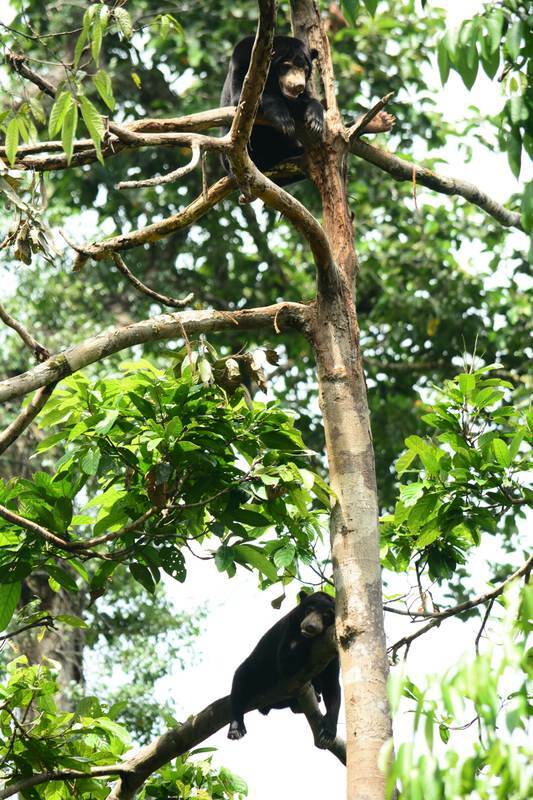 Sun bears are resting on a tree at forest enclosure. 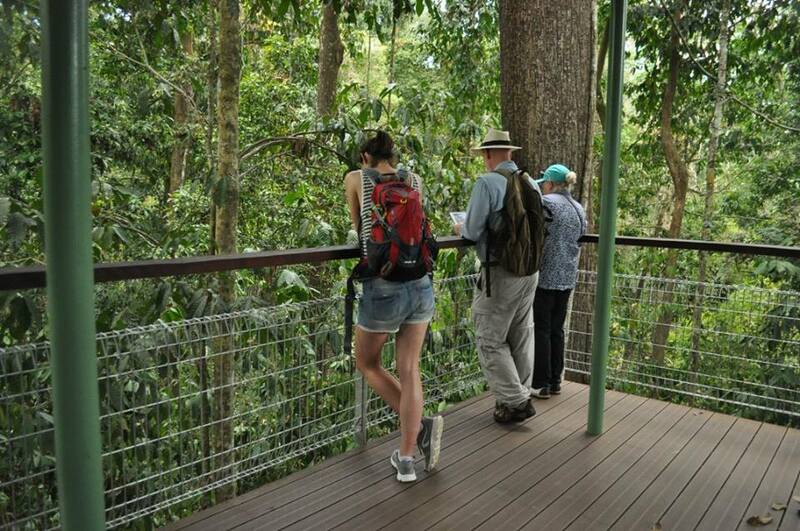 Funding for Observation Platform 1 & Access Boardwalk was provided by the Malaysian Federal Ministry of Tourism, through the Sabah Wildlife Department in 2011. Construction took place right after funding was secured and completed in August 2012. BSBCC was not yet open to the public upon completion of the viewing platform and access boardwalk. 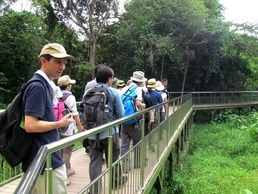 However, educational activities started to take place with occasional visits from local and international school groups. The BSBCC procured funding for Phase 3 in September 2010 from Sime Darby Foundation. This phase entails the refurbishment of the old bear house into offices, a visitor center and gift shop, and a quarantine area for up to 10 bears. By end of 2013, construction of Phase 3 was completed and BSBCC was ready to open to the public in 2014. On the 16th January 2014, BSBCC launched its soft opening ceremony together with partners; Sabah Forestry Department, Sabah Wildlife Department, Land Empowerment Animals People, family, friends and supporters. 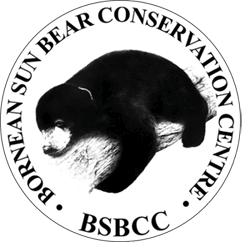 Since then, BSBCC was one of the tourist spots in Sandakan, particularly Sepilok alongside with the Sepilok Orangutan Rehabilitation Centre and the Rainforest Discovery Centre. At the same time, completion of Bear House 2 has added 16 individual dens for more rescued bears to move in. 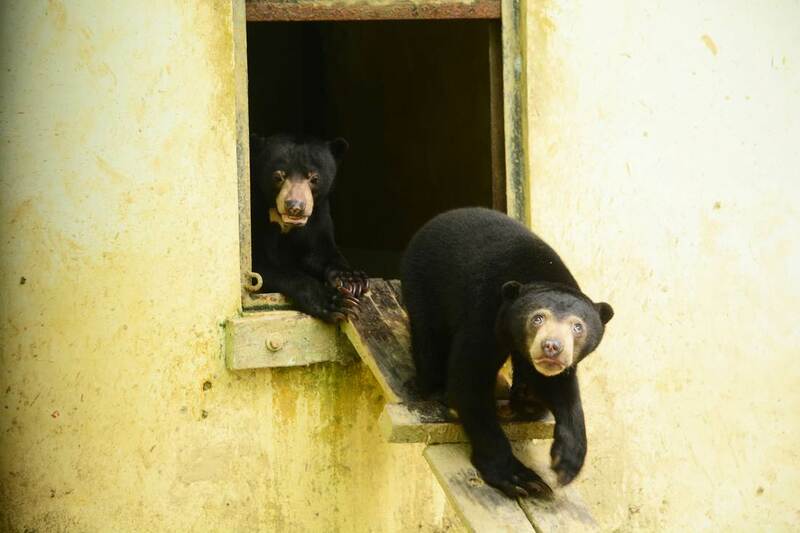 In 2014, a total of 8 bears arrived from the Lok Kawi Wildlife Park, Kota Kinabalu, where they were temporarily housed during the previous year while Bear House 2 construction was in progress. Next is to secure enough funding for Forest Enclosure 2 in order to have more bears going out at one time. With continuous support from Sime Darby Foundation, funding for Phase 4 was secured in June 2014. 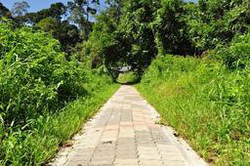 Construction for fencing around 1.1ha of forest area has been completed in year 2015. The first group of bears are released into the new forest enclosure in the same year. The completion of the second forest enclosure allows more bears to roam in the forest enclosure. The new aerial walkway and observation platform 2 was completed in March 2016 and is open to public since then. 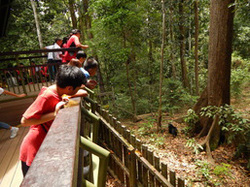 Visitors are able to view more bears roaming in the enclosure from different angle of view.